Med-Tech Innovation Expo, the event for medical device designers, manufacturers and engineers, is on the ascent. 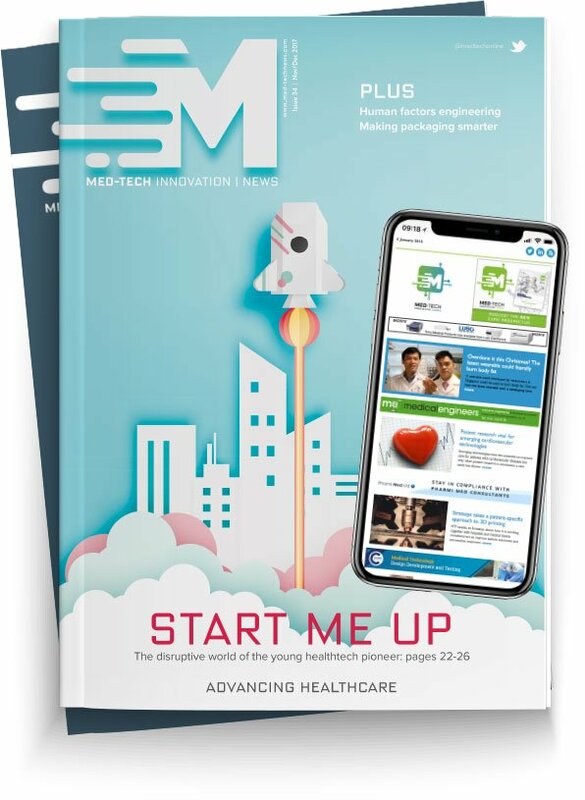 On the back of the latest successful edition in April, the organisers, Rapid Medtech Communications (part of the Rapid News Communications Group), announced the show’s relocation to Birmingham for 2019. Following the announcement, Med-Tech Innovation News’ Holly Delaney sat down with Duncan Wood - Chief Executive of Rapid News Communications Group - to find out more about the future of the event. What was behind the decision to move Med-Tech Innovation Expo out of the Ricoh Arena? Why the NEC? DW: It’s really simple. Our ambition for the show in terms of size and both national and international impact can only be satisfied by the UK’s premier exhibition venue. When we acquired the show back in late 2016 we always had this move in mind. Now, with two successful growth years under our belt, it is the time to take this step. We already have a great relationship with the NEC and have run other group events there such as TCT Show and Interplas for many years. So, between that relationship, the easy accessibility for the venue by road, rail and air, and the opportunities for further growth it was an obvious choice. How has news of the move been received? DW: I think overall the feedback has been positive towards our ambitions. The industry can see that we’re committed to it, and this was important to establish before we made the move. For sure there is always a little resistance to change, particularly one that is so significant, but it’s our job to understand that and hold hands during the move. We’re going down a path we know very well; in 2011 we moved TCT Show from the Ricoh Arena to the NEC, and now it is a leading international event with over 10,000 attendees and 300+ exhibitors annually. We know the ground here and have executed a similar transition before very successfully in a much smaller industry. Why hold the event in Birmingham? DW: Aside from the fact that the NEC is really the only venue that can accommodate our ambition for the event, Birmingham is England’s second city. It’s no more than a 3-hour journey for 75% of the UK and has an airport that averages 292 domestic and international flights daily - this means Med-Tech Innovation Expo 2019 will be easier to get to for both UK and international visitors which in turn means better return on investment for our exhibitors. A greater international audience will also allow us to show off the UK’s expertise in this sector and drive the industry forward by making the event a focal point for the sector. The Midlands is a hub of engineering excellence for the UK. A great number of our core attendees - designers, engineers, manufacturers, R&D experts and other professionals involved in the design and manufacture of medical devices – are based here. There are 280,000 people employed in manufacturing in the region and 62,000 in advanced engineering. How do you feel the move will benefit attendees? DW: It’s quite easy to list all the positives the NEC offers. We’ve already touched on accessibility for both national and international visitors. Alongside this is a greater choice of onsite hotels, more restaurants and of course the ability we now have to craft a much broader event with more exciting aspects to it. We’ve already confirmed plans to expand the breadth of the event with the addition of four new exhibition zones focused on digital healthtech, medical plastics, pharmaceutical manufacturing technologies and early stage innovations. Alongside this, a wider content and conference programme will increase the learning opportunities in all areas of the technologies we cover. Med-Tech Innovation Expo will continue to bring together designers, engineers, innovators and manufacturers from the medical, pharmaceutical and healthcare sectors to source products, explore new ideas, understand emerging technologies and do business with companies representing the entire medical device supply chain from ideation, through design and validation, to manufacture. The solutions on the show floor will help them design the next generation of medical and pharmaceutical devices. And equally what does the move offer for your exhibitors? DW: The accessibility, accommodation and eating options hold true for exhibitors too, but the most important news for them is that we’ve been able to reduce our rate card for exhibiting by a significant amount. This immediately saves our exhibitors almost £2,000 on the cost of a 9m² stand. This is our investment in the industry, allowing more exhibitors to take part and enabling returning exhibitors to consider larger stands. We’re committed to delivering increased ROI - reducing exhibition costs and increasing attendance is the simple equation that will deliver this. The NEC is a much larger venue, what will this mean for the day-to-day practicalities of exhibiting? DW: The NEC certainly comes with bigger halls and the possibility of multiple events going on at the same time, so there will be a few policies and procedures for exhibitors to adjust to. We know change can be daunting, especially if it means spending more time adhering to policy, but we’ve run events at the NEC for years. We know what to expect and are more than capable of making the set up and break down as easy as possible. Our highly experienced operations team will make sure exhibitors are correctly prepared and given all the guidance they need. Finally, what does the future look like for Med-Tech Innovation Expo? DW: I’m quite confident that 3 years from now, when the expo is where we expect it to be, our exhibitors will be more than happy with the growth the event has provided for their businesses. There will be very little nostalgia for the days when it was smaller! We could have stayed at the Ricoh with a smaller show, but this move is about ambition. When you consider the scale of the £27bn UK and Irish medtech industry, it deserves a bigger platform. We mustn’t be afraid to grow and step onto the world stage. It’s time the UK had a show commensurate to the size of the market, one that can promote our expertise to the rest of the world.